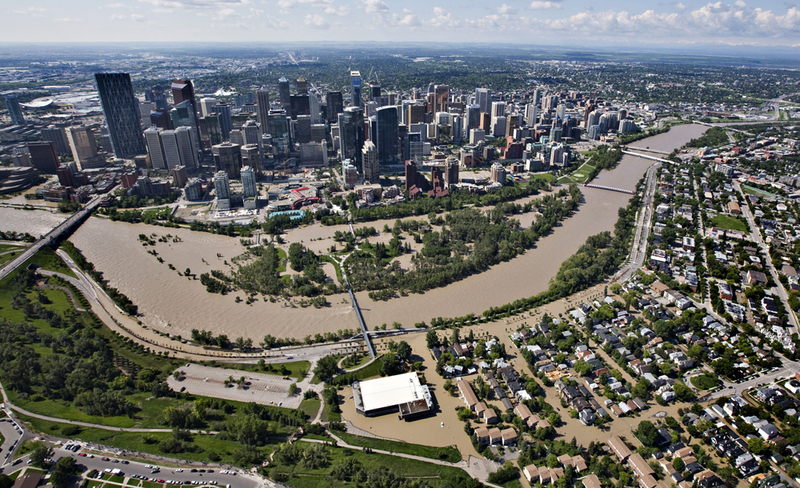 The Alberta floods of 2013 will likely go down in history as one of the worst natural disasters the Province and the city of Calgary have ever seen. There are still many home owners and condo buildings in the core that are going through massive renovations and remediations. I was down in Erlton the day after the floods and witnessed part of whole foundations completely washed away. There were parking garages that were filled to their ceiling with water. Whole lobby’s that were soaked and flooded out. I couldn’t imagine what all those people went through. Some were left completely homeless, others were left with thousands of dollars of damage. I discovered a few things within the last couple of weeks, almost a full 3 years after the floods of 2013, that enlightened me and that we have used to help educate our clients. I came to realize some important things about insurance with respect to these buildings. Flood Insurance. There are MANY buildings in the core that do not have Overland Flood Insurance, however, most (if not all) of the buildings in the areas affected, have water damage insurance as well as storm sewer back up insurance. This is very important to check before you move forward with a purchase of a Calgary condo. If you are a driver and are parking underground, I would ensure that you have that level of insurance on your vehicle. The insurance for the building, is just for the building, not your vehicle. A lot of the buildings that were affected were not in the flood fringe or directly in the flood zone. Some of these homes and condo buildings were affected due to storm sewer backup. I know of more than a few people that had homes in these areas with sump pumps that stopped working due to the city shutting off power to these areas. It is important, as a condo buyer in the Calgary core, to make sure you are aware of where the flood affected areas are, and what is covered in the buildings insurance policy. Below you will find a screenshot of the flood map. Below that, you will find a link that will take you to that flood map. 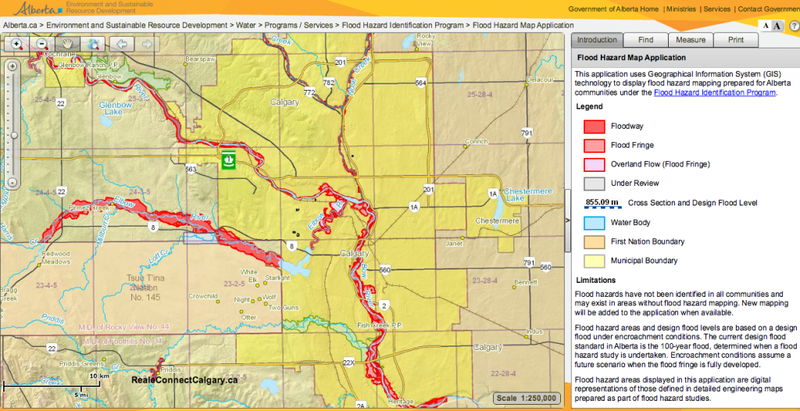 Use this flood map as a tool in your toolkit when you are looking to buy a condo in the core.